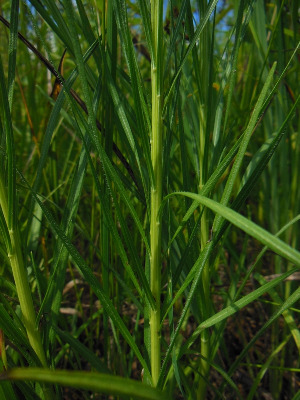 This species hybridizes with L. pycnostachya. Rare individuals with scattered hairs in the inflorescence and other intermediate conditions indicate some introgression. White-flowered plants are f. albiflora Britton and have been found on Harsens Island, St. Clair Co.
MICHIGAN FLORA ONLINE. A. A. Reznicek, E. G. Voss, & B. S. Walters. February 2011. University of Michigan. Web. April 19, 2019. https://michiganflora.net/species.aspx?id=401.